New York based, Aeriel D’Andrea has worked across the U.S and internationally. Her work has graced the pages of magazines such as Marie Claire, In Style, Lucky, Harper’s Bazaar, Grazia, Dazed and Confused, Elle, and L'Officiel. She has worked with designers such as Tommy Hilfiger, Isaac Mizrahi, Venacava, Tracy Reese, Auguste Soesastro and with advertising and commercial clients, Izod, Ralph Lauren, Sony, Neiman Marcus, Calypso, David Yo, Hello Kitty, Macy’s and Target. 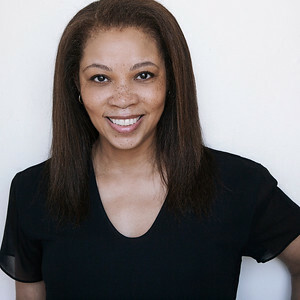 Aeriel also has worked with celebrities Nancy O’Dell, Tracy Reese, Yara Shahidi, Jessica Oyelowo, Matt Dillion, Venus and Serena Williams, and Theo James, to name a few. For Aeriel, beautiful makeup is always on her mind and she has the personality to make anyone feel comfortable.